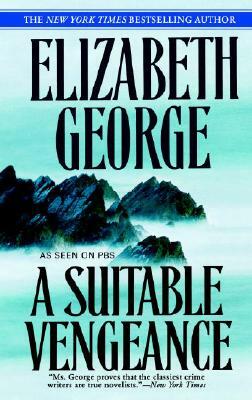 Elizabeth George’s first novel, A Great Deliverance, was honored with the Anthony and Agatha Best First Novel Awards and received the Grand Prix de Littérature Policière. Her third novel, Well-Schooled in Murder, was awarded the prestigious German prize for suspense fiction, the MIMI. A Suitable Vengeance, For the Sake of Elena, Missing Joseph, Playing for the Ashes, In the Presence of the Enemy, Deception on His Mind, In Pursuit of the Proper Sinner, A Traitor to Memory, and I, Richard were international bestsellers. Elizabeth George divides her time between Huntington Beach, California, and London. Her novels are currently being dramatized by the BBC.